“#2623″ (2017-2019), an improvised live visuals performance that is in continuous development. I built a software tool to generate images based on the the way social insects communicate with eachother through changes in their environment. Performed 11 times in collaboration with different musicians for each concert, amongst others with Andrey Smirnov, Gaudenz Badrutt, Blevin Blectum, Grigory Mumrikov, Rutger Zuydervelt (Machinefabriek) and Dirk Serries. live video companion to the composition for solo double bass and electronics by Claudio Baroni. Premiere at ‘Dag in de Branding’ in The Hague and ‘November Music’ in Den Bosch, for now 7 performances planned until March 2017.
collaboration with Yannis Kyriakides and Theun Mosk, light installation design for music theatre piece by ensemble De Veenfabriek on location on the premises of Moolenaar in Voorhout, one of the largest distributors of flower bulbs worldwide, where it played appr. 20 times. live video improvisations in collaboration with various musicians, performed at the Vancouver New Music Festival, Rotterdam International Film Festival and Museum for Contemporary Art De Pont in Tilburg. video prelude to premiere of dance piece by Emio Greco | PC, 6 performances at Holland Festival, Amsterdam. “Le Corps du Ballet” (2011), video interlude for choreography by Emio Greco | PC for the Ballet de Monte Carlo. Premiere in Grimaldi Forum in Monaco, appr. 10 performances in France and The Netherlands. “WaveSpace”, (2011), live video companion to the composition ‘WaveSpace’ by Yannis Kyriakides for the ASKO / Schonberg Ensemble. 4 performances in Amsterdam, The Hague and Den Bosch. initial concept, light installation design and dramaturgy for a music theatre piece by ensemble De Veenfabriek in collaboration with Paul Koek, Martijn Padding and Theun Most on location in a disused airbase in Valkenburg, The Netherlands, where it played appr.25 times. projection design for dance piece by Emio Greco | PC, premiered at Holland Festival in Amsterdam, appr. 40 performances worldwide, played for a whole week in Theatre de la Ville in Paris. projection design for dance piece by Emio Greco | PC, premiered at Holland Festival in Amsterdam, appr. 10 performances in The Netherlands and France. projection design for an opera by Stuart MacRae, libretto by Simon Armitage, directed by Emio Greco | PC, performed and produced by The Royal Opera, London. Commissioned by The Edinburgh Theatre Festival, 6 performances in Edinburgh and London. interactive video in a research project about interaction between dance, music and projection with Emio Greco | PC, composer Hans-Peter Kyburz and Ensemble Intercontemporain. Produced by IRCAM, premiered in Centre Georges Pompidou (Paris), later development and performances in Bourges (France), Amsterdam, Rotterdam, Luzern (Switzerland) and Paris (Cite de la Musique). light and stage design for chamber opera by Yannis Kyriakides for ensemble De Veenfabriek, produced by Forum Neues MusikTheater, Stuttgart, appr. 6 performances in Stuttgart and The Hague. light and stage design for music theatre piece by ensemble De Veenfabriek, appr. 15 performances in The Netherlands. projection design for opera by Gluck, directed by Emio Greco | PC and produced by Opera North in Leeds. Commissioned by the Edinburgh Theatre Festival, appr. 10 performances in Edinburgh, English Midlands and in the Grimaldi Forum in Monaco. projection design for choreagraphy by Emio Greco | PC for Nederlands Dans Theater, premiere in Lucent Dans Theater, The Hague, appr. 10 performances in The Netherlands. video companion to a composition by Yannis Kyriakides for ensemble De Volharding, in collaboration with Isabelle Vigier, appr. 4 performances in The Netherlands. 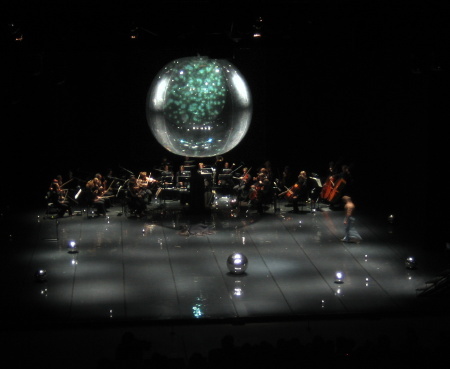 music theatre performance around my films and live performances with light installations, appr. 20 performances in The Netherlands and Belgium. live video for chamber opera by Florentijn Boddendijk, developed at STEIM, Amsterdam and performed at Sonic Acts in Paradiso, Amsterdam.